For several years Methodist families gathered for worship in their homes. Then in 1841, they had services in the old school house located on the site of the present United Church. An itinerant Methodist preacher made regular visits to help them organize. In 1853, the Weleyan Church in Stouffville had its actual beginning, calling its first resident pastor Rev. Cornelius Flummerfelt to preside at services in the school house. In later years, the school was purchased and used as the official church building. The school house continued service until 1872 when it was moved across the street (where it still stands at #17 and #19 Church Street) and a new brick building was erected. Twenty years later in 1892 the sanctuary that exists today was built. Music has always complemented our worship service with our pipe organ donated in 1933 by the Button family in memory of Major and Mrs. John R. Button and the cathedral chimes donated in 1950 by Mr. and Mrs. Mervin Watts in memory of Mr. and Mrs. Wm. T. Boynton. Further renovations added a north wing in 1950 with the final addition of office space, meeting rooms, etc. completed in 1977. At various times Stouffville was part of a three-point charge, with Bloomington and the Tenth line congregation, Bloomington and the Ninth line congregation, and the preaching points of Goodwood and California (later called Mongolia). By 1884 the California congregation was disbanded and most of its members joined the Markham Methodist Church. At this time, a five-point circuit consisted of Stouffville, Bloomington, Goodwood, Mongolia and Church Hill. 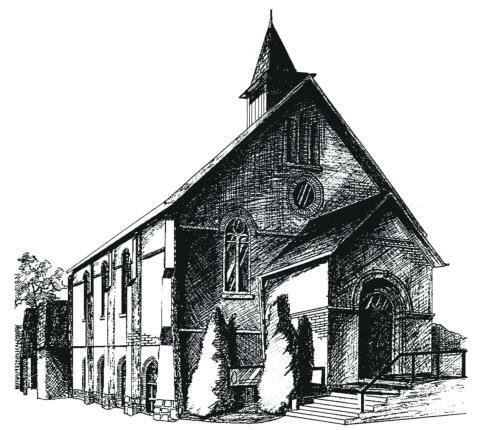 In 1925 our Methodist Church joined the church union and Stouffville United Church was officially formed. A brief history of the Stouffville area may be found at the Stouffville.com website. The congregation of Stouffville United Church and its predecessors have been worshiping on this site since 1841. We know that quality relationships develop when people connect with others like themselves or come together to share in the design and implementation of an event of mutual interest to the group. Lead by Minister Rev. Elizabeth Cunningham, Stouffville United Church offers many ministries for people of all ages and interests. It is our hope that you will discover a ministry that will be enriched by your talents/gifts and provide the satisfaction gained by working with others who share a common objective.